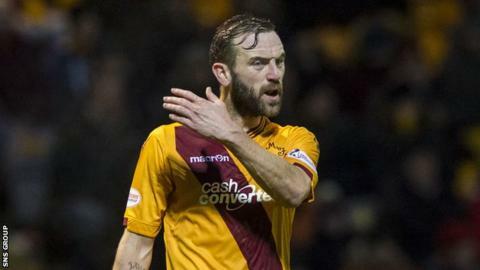 Motherwell forward James McFadden will not play again this season after breaking his ankle in training. The 32-year-old former Scotland international signed up at Fir Park for a fourth time in February, his second short-term contract of the campaign. He has featured in four games, starting just once for Mark McGhee's team. But manager McGhee told BBC Scotland that McFadden was due to be in his starting XI for Saturday's game with Aberdeen before the accident. "We'll stand by James and nurse him back to fitness," added McGhee following his side's 2-1 victory. "We'll give him every opportunity to get back playing again then we'll see where we are at that point."